It's become clear that one of the keys to surviving in Saudi is the frequency with which you buy a ticket and leave. We have finally encountered some of the "Saudi Moments" we were warned about in our first couple of weeks: frustrations ranging from minor inconveniences to immovable road blocks, which are not necessarily exclusive to Saudi, or even the Middle East, but which have a habit of compounding and leaving you a little irrational and spoiling for a fight. Many international schools hire teaching couples because it's easier for a person to adjust to a new culture when they have a familiar ally going through the transition with them. The flip side to this is that couples who work for international schools get very good at communicating about things which are bothering them or to which they're finding it hard to adjust. Before moving to Saudi, we had lived in two different countries where one or other of us was a foreigner, and we had had many conversations about culture shock, settling in, and moving on. We had gotten good at discussing emotional and potentially life-altering issues in a constructive way, and listening to one another's perspectives, particularly when one of us was feeling out of our comfort zone. Adjusting to life in Saudi has required a whole new level of communication. For the first time, neither of us is in our home country. For the first time, neither of us is a domestic flight away from our families. For the first time, there is nowhere for either of us to escape to if we need to cool off after a "discussion" - we live in a bubble, and I can't drive. So when one of us is having frustrations at work; or we have a rare simultaneous-bad-day situation; or Amazon wont ship our dog's medication to Saudi; or the Houthi rebels in Yemen try to bomb Riyadh... it gets pretty tense. After Christmas break, we had three solid months of face-to-face time with our students, and by the end of March, pretty much everyone was at one another's throats. We had had the same issue in Chicago - made worse by the fact that it didn't get light till eight and got dark again at four, so everyone was living in permanent darkness (and three feet of snow). Escape is a luxury, but also a necessity. Anyone who thinks teachers get too much time off can come fight me. For more info on how we afford to take all these trips, see our previous article on points and travel perks. So we spent an amazing week in South Africa, getting outdoors, getting some space, meeting new people and indulging in the foodie scene in Cape Town (more on this in a later article). Every time we met someone, they would ask where we were from, and we would either say Australia/America or Saudi Arabia. We would then explain why we were in Saudi Arabia. Each person would then attempt to be diplomatic, and say "that must be really...interesting. Do you like living there?" There are many things we love about our lives in Saudi - we love our jobs (even when we're exhausted and need a break); we love our community; and we love the fact that we can travel to places like Cape Town for our Spring Break. But we don't love living in Saudi... at least, not yet. A lot of things are changing here. The Crown Prince recently gave an interview on CBS 60 minutes in which he stated that he saw men and women as equal, and thought women shouldn't have to wear the abaya, just that they should dress conservatively. Whether on not this becomes acceptable (particularly in ultra-conservative Riyadh) remains to be seen. The first movie theatre in Saudi since the 1970s opened in Riyadh last week. The first showing? 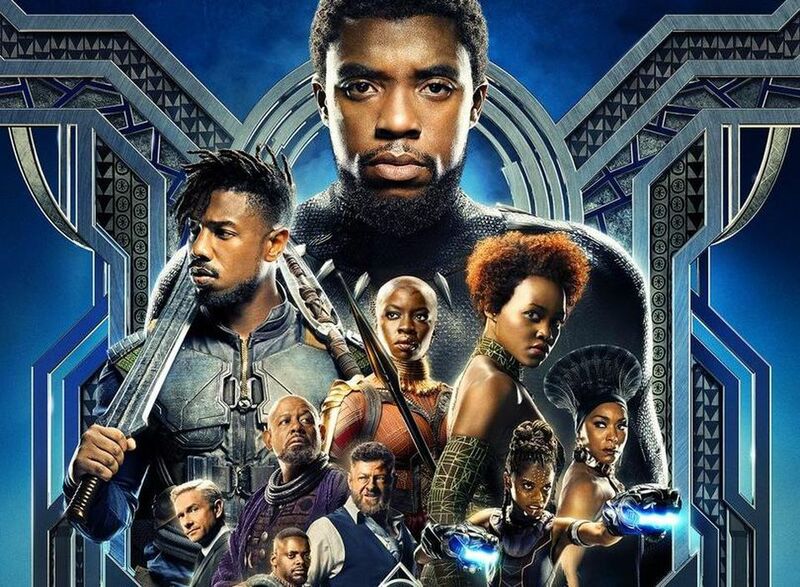 Black Panther: the story of an idealistic young prince, who realizes that his people will have to open up to the rest of the world if they are to survive as a nation. In unrelated news, Saudi will issue its first tourist visas since 2010, also this month. How these changes will affect our daily lives, we don't yet know. We do know that we're living here in a time of unprecedented social and cultural change, and that's pretty exciting. Anyway, I'm off to book some movie tickets...until next time! Older PostCapitalism vs. Nature: There Will Soon Be A Starbucks In Yosemite.